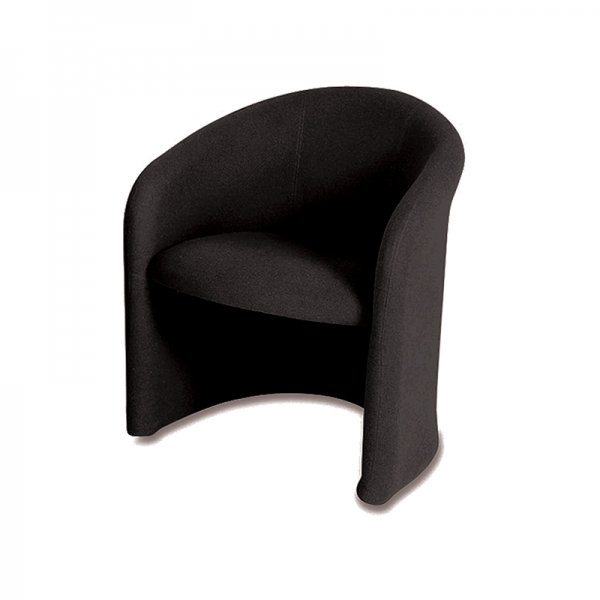 This classic tub chair provides comfortable seating for your visitors or event guests. Ideal for use at trade shows and exhibitions, or great for visitor seating in reception areas. The classic styling of the chair and the black fabric makes this a versatile chair rental choice. • Iconic designer style armchair• Black leather with chrome frame and feet• Ide..